Health	BADDASS Ignite: Will it help me gain good results? Nutrition	Tongkat Ali Review: Does it work? Brunch is slowly becoming everyone’s favorite meal of the day. Although it’s great to eat out every once in a while, it can be difficult to stick to your diet regimen if you’re surrounded by buttermilk pancakes and applewood smoked sausages. You don’t have to completely abandon your diet plan and binge on bacon. All it takes is a couple tweaks and you will be well on your way to enjoying brunch again. 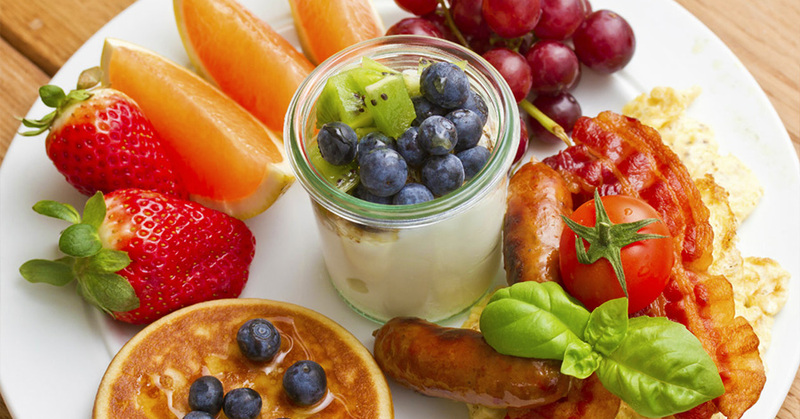 Here are some easy ways to stay healthy in the face of home fries. Sunny side up…easy over…scrambled…omelette…how do you like your eggs? Well from now on, you’re going to get them poached. Why? Because no refined oil is used in the poaching process. The egg is dipped in boiling water and then scooped out when the white forms around the yolk. It’s an easy swap to make and tastes amazing. Ask to get the homefries replaced with more salad or fruit. Most brunch places will offer some sort of side salad or garnish on the plate. Homefries are empty calories, meaning they don’t contain a lot of interesting stuff for your body to use aka vitamins and minerals, like what you would find in salad. You don’t need all those deep fried carbs anyway, they’re going to do nothing but set you back. When they ask you what kind of toast you want, get the whole wheat option! White bread has been stripped of vitamins and minerals. There is hardly anything left except sugar and starch. Choose the most grainy bread possible. You will be getting a lot more out of it. Believe it or not, our beloved bacon actually contains less fat per gram than breakfast sausage. You also normally get less of it on the plate. Ask your server to make the bacon extra crispy. The longer you cook it, the more fat will be rendered off. Plus crispy bacon tastes amazing. If you’re trying to lose weight. Leave your toast dry and dip it into your egg yolk. If you’re trying to bulk up, then don’t worry about that little bit of butter on your toast especially if you need to keep your calories up. You can also spread on some peanut butter for a slightly lower fat version of butter and an extra boost of protein. If there’s fresh squeezed orange juice on the menu, get it! Fresh squeezed juice is incredibly high in easily assimilated vitamins and minerals. Yes it is technically high in sugar, but it’s the kind of sugar that your body uses right away for energy, not the kind that gets transferred into body fat. Don’t be afraid of fresh fruit juice. Just like “trans fats” are bad and “monounsaturated” fats are good. Same thing goes for fruit sugar vs. refined white sugar.